Last year I really wanted to teach my youngest to ride without stabilisers, but for one reason or another we never spent much time out on the bikes, and now its once again nearing summer and yet again I hope this year we will manage to crack the 2 wheels! 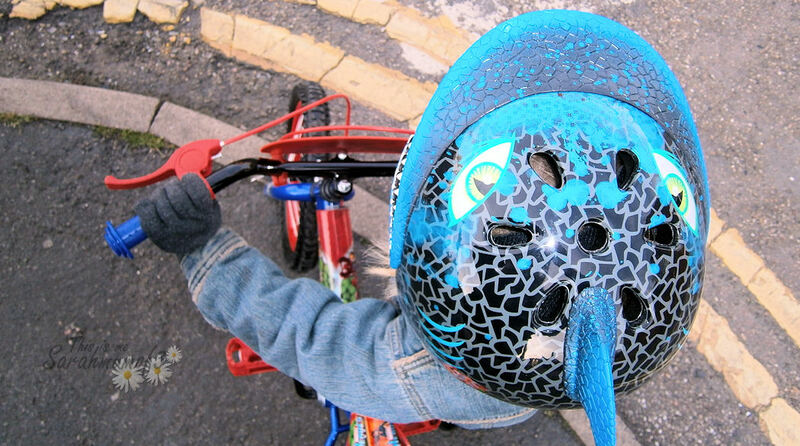 I love encouraging children to get out on their bikes, and have helped several children learn to ride without stabilisers in the past, but it certainly isn't an easy process and some children just aren't as interested as others about getting out on their bikes. So to encourage Mikey we decided to buy him a brand new shiny bike for his 5th birthday the other day, we went for a 16" wheel bike, which he can mange fairly well and will hopefully last him a while. He picked out a marvel hero design bike sporting his favourite Spiderman and incredible Hulk characters, and was as proud as could be to have a brand new bike to take out. 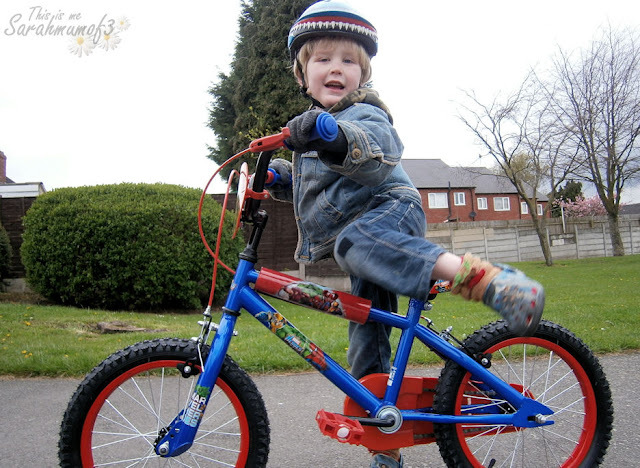 Obviously he thought the new bike would mean instant ability to ride, but that was never going to be the case was it, and so falls and bumps are a given for a good few weeks while he masters the unsteady 2 wheel riding. So when we were sent a Raskullz helmet from Ozbozz I knew that he would instantly love the design and I'd have one less worry about making sure he is protected, because anyone with a youngster who has took an interest in bikes and scooters will appreciate the need for a good quality helmet which the children are not going to moan about wearing, and Raskullz is exactly that. 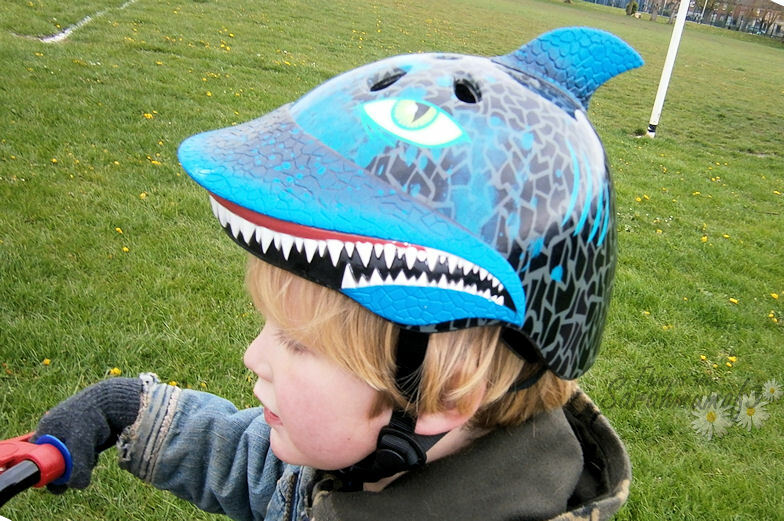 These super cool helmet designs are instantly appealing to children, we were sent a shark attack design but there are loads of other equally as funky designs in the range including a unicorn, Mohicans and ladybird. 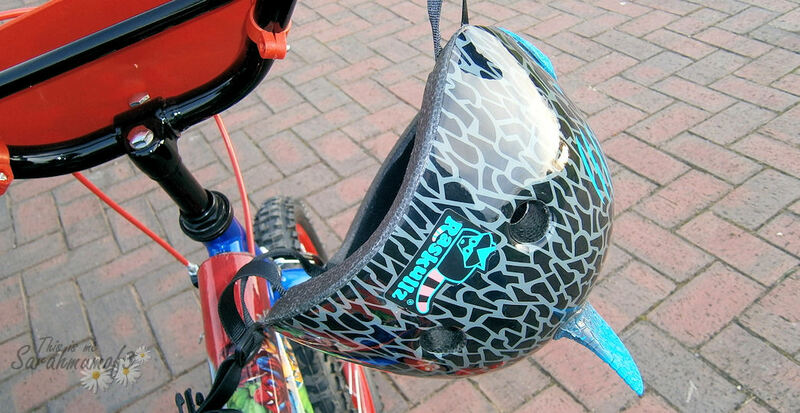 The Helmets have a adjustable strap which allows you to correctly fit the helmet and removal pads inside, be sure to follow the instructions for correct fitting. The shock absorbing EPS inner shell provides maximum protection and the helmets have aerodynamic cooling vents to ensure they stay comfortable. But looking good isnt the only reason for having a quality safty helemt, wearing one means you are helping to protect your child, statistics say that wearing a proper safety helmet can reduce the risk of brain injury by 88% should your child have a really nasty fall so it really is important to encourage children to wear the correct head protection, and Raskullz have so perfectly combined the need to look good with the need to be protected, so fashionable in fact that even the celebrity children are wearing them! 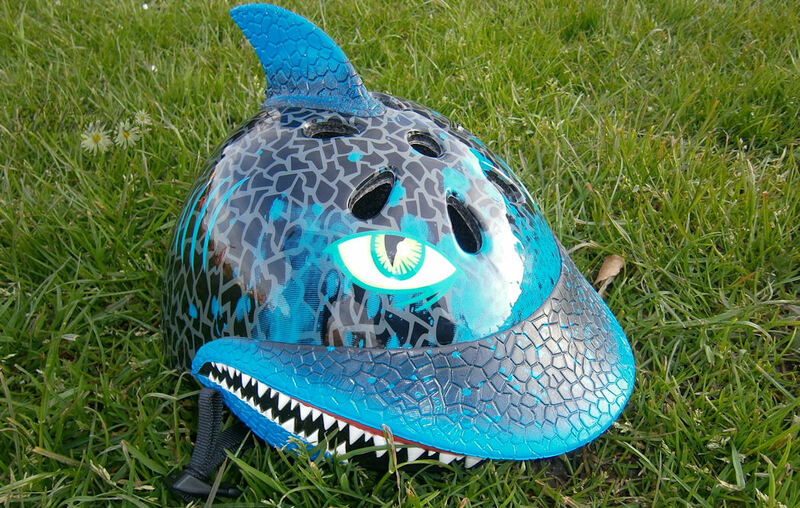 everyone who has seen the raskullz shark helmet has commented on it and Mikey really does love it! Check out Ozbozz on facebook to see updates on new designs, competitions and much more. We were sent a Raskullz Helmet to review from Blogmatch but al opinions are my own. 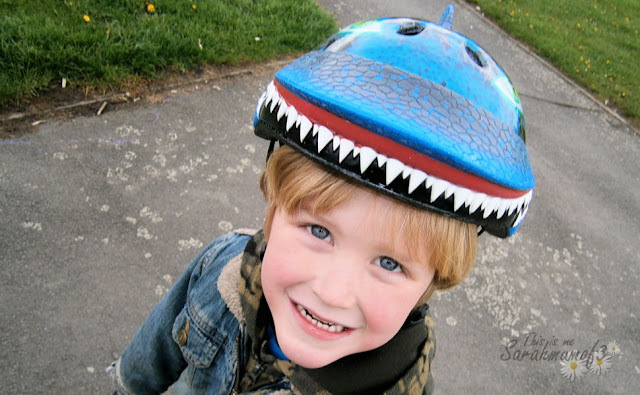 We just bought a new helmet (first one) this week. I especially chose one like yours that covers the back of the head. I've seen many that seem to only protect the top of the head. Now THAT Is one cool helmet! Oh, how cute! I hope he masters the two wheels soon!